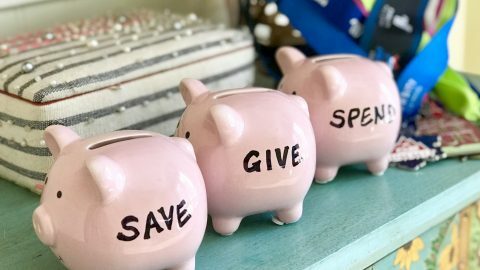 We partnered with Visit Tucson, Loews Hotels and Chevrolet for this visit, and the opinions expressed here are our own as always. There’s just something special about Tucson that draws people from all over the world. Maybe it’s the spikey saguaro cactus that sticks up from the desert floor, or the purple and red mountains that surround this high desert hamlet. Or maybe it’s the darn good food? Whatever floats your boat, there are tons of things for families to do in Tucson. It really is a desert paradise. Our recent visit here was guised as a college tour for Sophia, who is now a high school junior. At this age, juniors have to start thinking about where they might like to apply for college. Most don’t have a good concept of what they are getting into, thus the college tours. Parents like us go to great lengths to show our kids a variety of options so they can better envision themselves on a campus somewhere. We love Arizona, so we loaded up the spacious hatch of a sweet new 2019 Chevrolet Traverse and headed for Tucson. 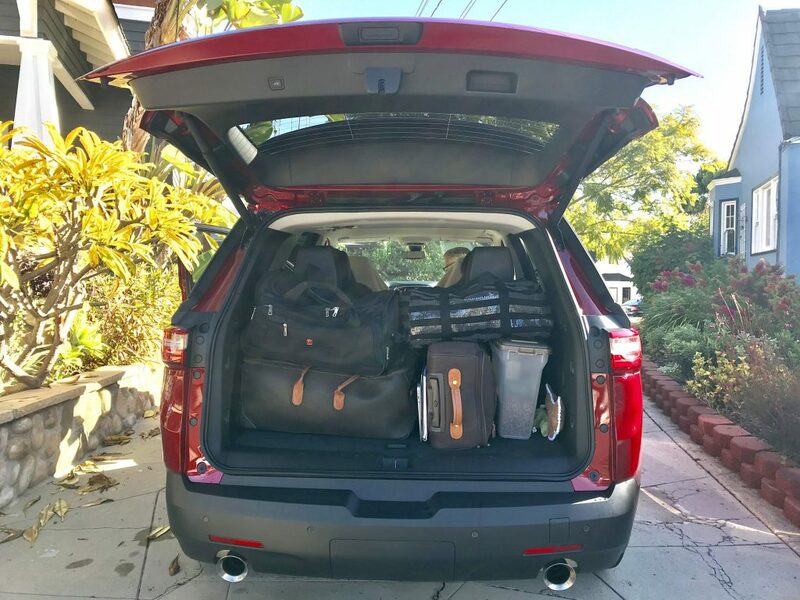 The 2019 Chevy Traverse fit all of our bags and still had three rows of seats for spreading out. Of course while there, we explored some super cool spots to share with you for your next visit. Not sure why, but some people’s impression of Arizona is a bunch of retirees. Well yes, there might be some of those mixed in with the young families, hipsters, scholars, artists, adventurists, makers and scientists. In Tucson, you get all that and more. A pool of blue in a red state, Tucson is liberal, progressive and undeniably chill. It’s a live-and-let-live kind of place, where LGBTQ families like ours are welcomed with a hug. 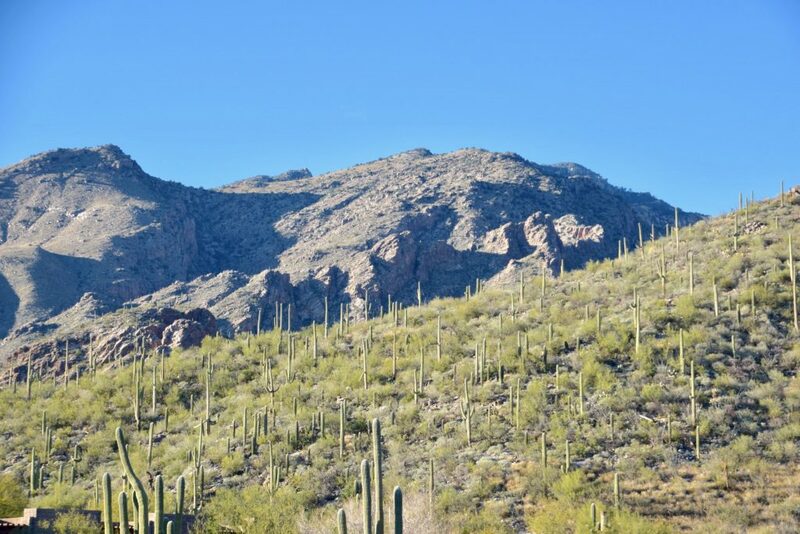 The mountains behind Loews Resort Ventana Canyon are breathtaking, especially in the bright clear mornings. 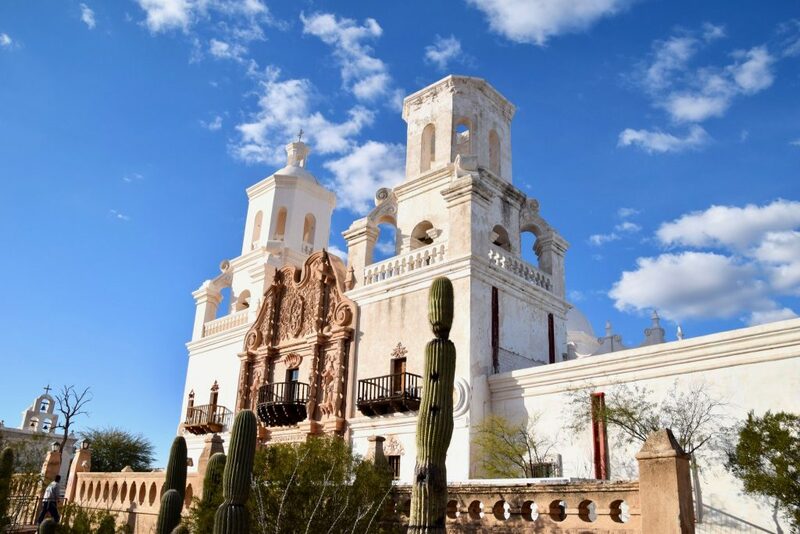 Full of history and Western lore, the city of Tucson has maintained it’s blended roots from Native American, Mexican and Spanish influences. People from all over have been attracted to this place, and now that diversity makes it really special. If you visit here, we’ve got some recommendations on things for families to do in Tucson. And if this is not enough, check out Visit Tucson for more suggestions and ideas. Head to Downtown Tucson to catch the flavor of the Old West. In the blocks surrounding the Hotel Congress, the early roots of this town can still be seen and experienced. In fact Hotel Congress looks a lot like it did back in 1918 when it was built. 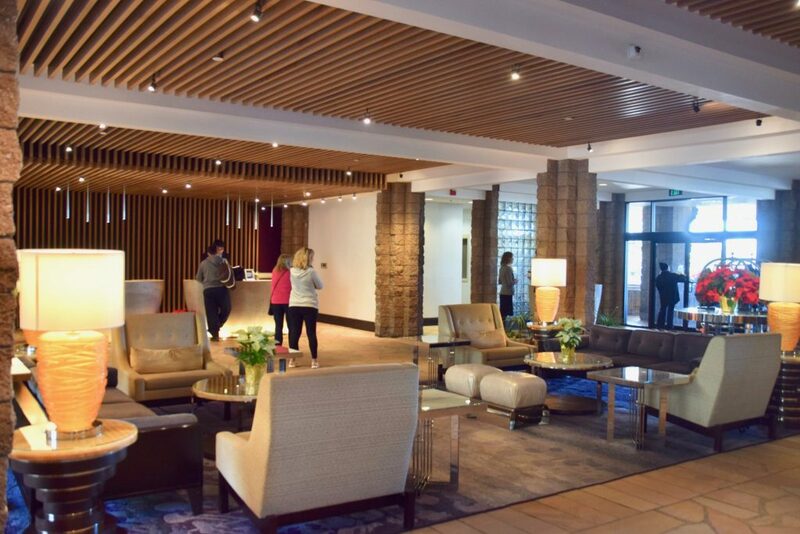 The Hotel is famous as the site where legendary gangster John Dillinger was finally captured, after hiding out at the Congress from the long arm of the law. (He’s now celebrated there with his own Dillinger Days events every January). Now the Hotel is full of old-time memorabilia, hip guests with a downtown vibe, some pretty great live music, and a really great cafe (see below for more on the restaurant). 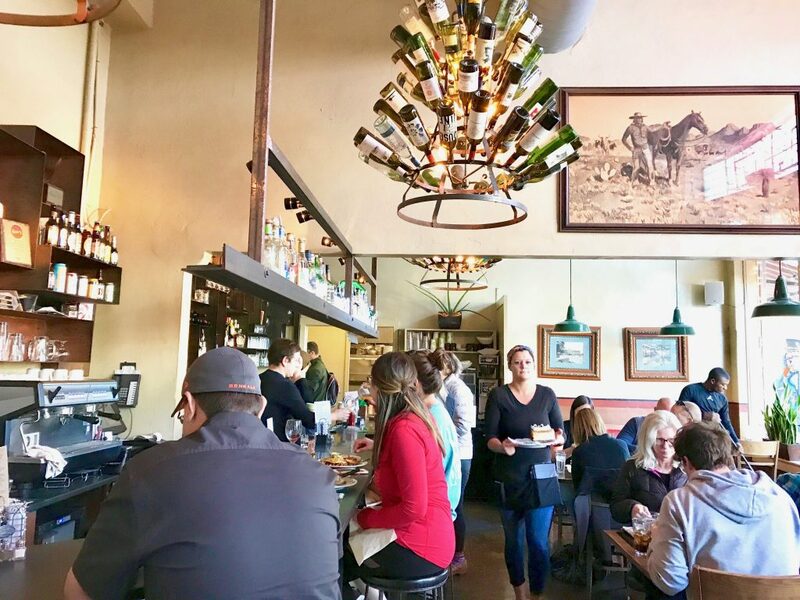 The Cup Cafe at Hotel Congress in Tucson serves up a mean French Dip Sandwich with a southwest flair. Fun Fact: The Hotel Congress did not have air conditioning until 2010. Say what?!? Summer temps in Tucson rise to 100-degrees+. If you love the desert landscape and its scrappy critters as much as we do, you will love the Arizona-Sonora Desert Museum. Just so you know, “museum” is not really the right word for this place. It’s like a zoo and botanical gardens and aquarium and bird show and art gallery and nature hike all in one. Phew! There is a lot to see here, so don’t plan on doing it in 90 minutes. This little dude gave us the evil eye when we arrived at the Desert Museum in Tucson, and the burrowing owl did too. From the moment we walked in, were were greeted by a man with a Burrowing Owl on his arm. From there, it was a cavalcade of desert animals including vultures, coyotes, javelinas (wild boars), prairie dogs, rattlesnakes, tarantulas and more. Heed the advice of the kind guides when they suggest you make your way into the gardens for the Raptor Show. 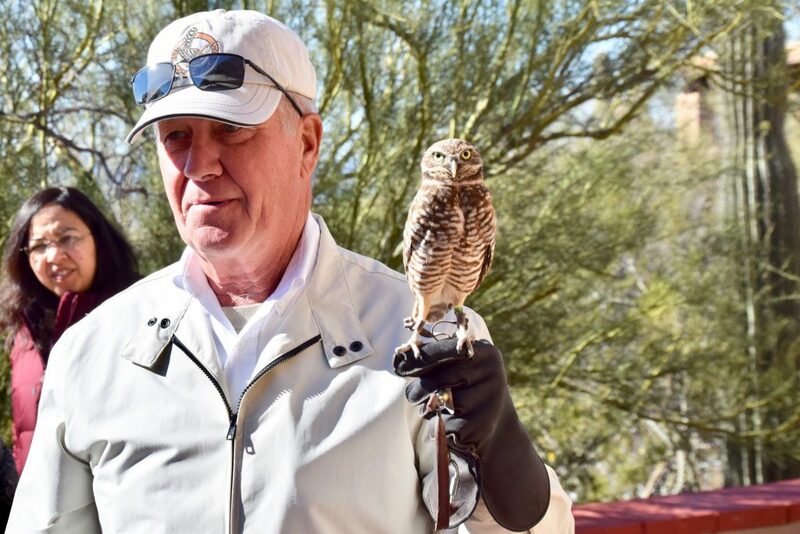 As these impressive hawks and owls fly overhead, it’s fascinating to observe their delicate wingspans and learn more about their desert homesteads. 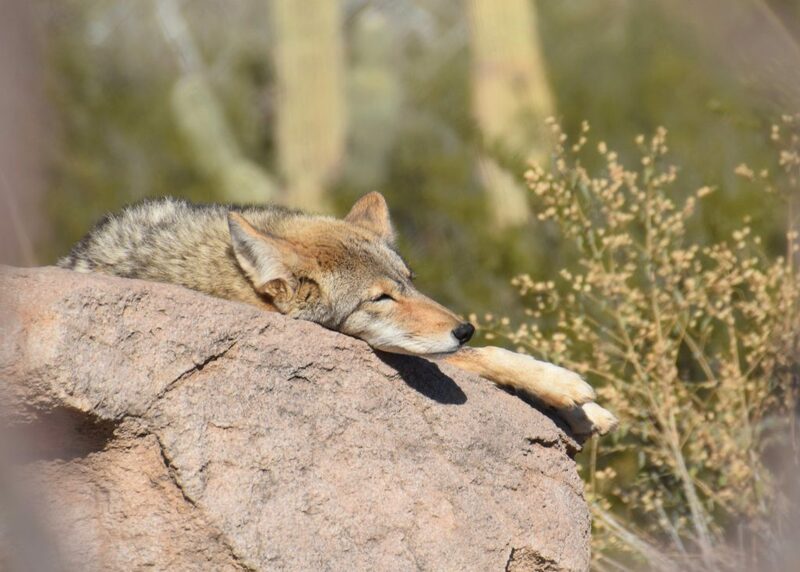 We’ve seen a few coyotes in our neighborhood at home, but never as relaxed as this dude at the Desert Museum in Tucson. Fun Fact: Great Horned Owls do not build their own nests. They lay their eggs in the abandoned nests of other birds. Squatters! If my Catholic mom were still alive, she would be proud we visited the Mission San Xavier del Bac while in Tucson. The thing is, we’re suckers for mission architecture and this one is pretty spectacular. Built in 1783, the Mission is considered by experts as the best example of Spanish Colonial architecture in the US. I promise the sky above the Mission San Xavier del Bac in Tucson was even more beautiful than this photo shows. From the exterior, it looks unfinished – like the builders never got to the second bell tower. But from the inside, the frescoes and tile work are truly impressive. Combined with the flickering votive candles and the voluminous ceilings, the effect made me feel like I was in Europe. For those feeling perky, there is a nearby path that climbs to a cross on the hilltop. We did not make that pilgrimage though, opting instead for some warm and delicious Indian Fry Bread purchased from locals in the courtyard. Fun Fact: This Mission was built in New Spain, which transferred to Mexico and ultimately became US territory. Tucson, and Arizona in general, is known for some pretty great Mexican food. And so we did have to try it out, and headed to dinner at El Charro Cafe. Touted as the oldest family-owned Mexican restaurant in the US, El Charro lived up to the hype. The carne seca was delicious, and so were the enchiladas, tacos, chile relleños and more. 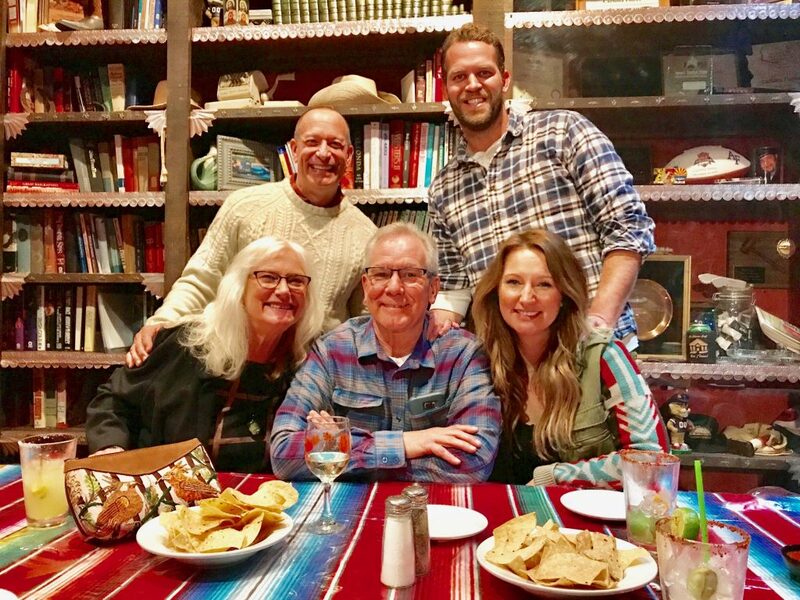 It’s nice to have family in Tucson that takes us to great places like El Charro for delicious Mexican food. If a modern take on diner food is more your game, then Welcome Diner is the place. The kids loved the kitschy 1950s architecture, which the owners had updated and funkified from a previous Sambo’s Restaurant location. And the food! Oh that food – it was a collection really inventive and delicious version of diner food. We viewed fried chicken, chicken fried steak, mashed potatoes, and several kinds of pie. 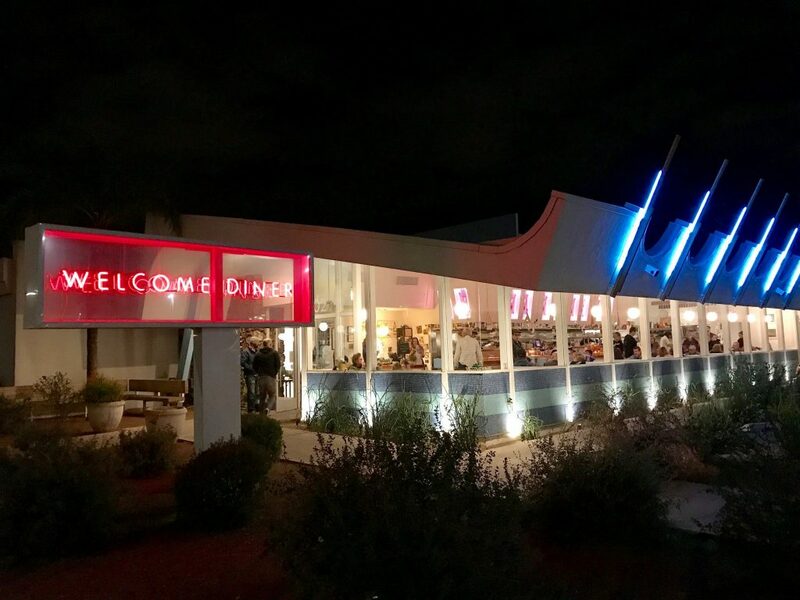 The architecture of the Welcome Diner in Tucson is so kitschy and fun, and so is the food – so delicious. Back at the Hotel Congress, the lobby restaurant Cup Cafe is something of a local legend. With some staff members on the team here for more than 50 years, Cup Cafe and the hotel bar have stood the test of time. The food here is dependable and tasty. My French Dip sandwich had an interesting southwest flavor twist, and the kids loved their breakfast-for-lunch omelettes. But here, save room for dessert because they are famous for it. An old-fashioned spiraling display case shows guests a variety of sweet treats. We chose to try the coconut cream pie and the carrot cake with cream cheese frosting. 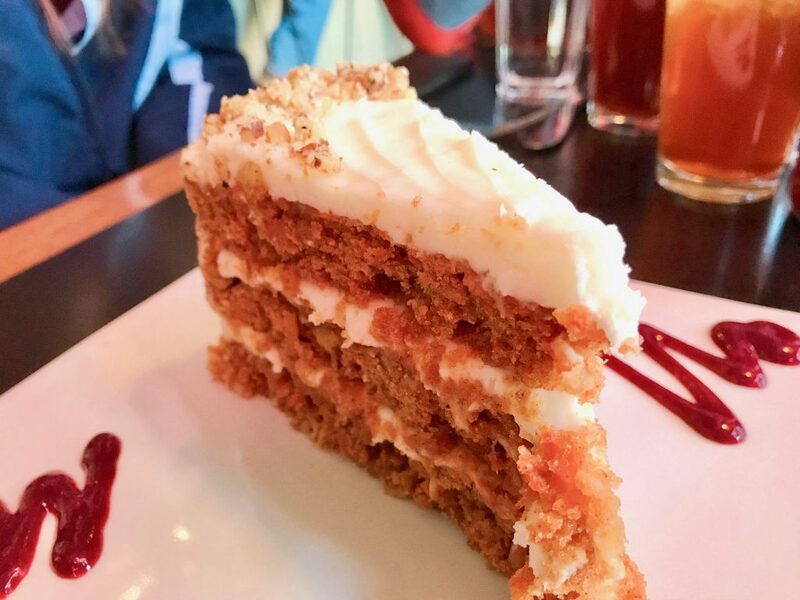 The carrot cake at Cup Cafe is just one of the desserts that called our names at the Hotel Congress in Tucson. It was a real pleasure to stay at the luxurious Loews Ventana Canyon Resort, and we highly recommend it. 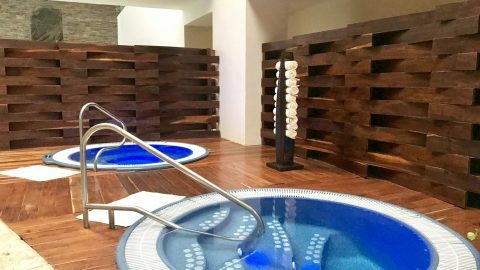 The rooms are large, and some are connected to a full suite with living room, dining room and even a working fireplace! It was just the right amount of cozy and chic at the same time. We slept on the Murphy bed in the living room suite, letting the girls each have one of the queen beds in the bedroom. Both Ava and Sophia said they were the comfiest hotel beds they had ever experienced. The architecture of the Loews Ventana Canyon Resort was designed by one of Frank Lloyd Wright’s students. One of our favorite things about this hotel’s public spaces was all the enormous amethyst crystals and geodes on display. And by enormous, we mean museum-quality sizes. We were told the hotel was designed by one of Frank Lloyd Wright’s students. That influence was strong in the unique architecture of these buildings inside and out. The lobby of the Loews Ventana Canyon Resort in Tucson. 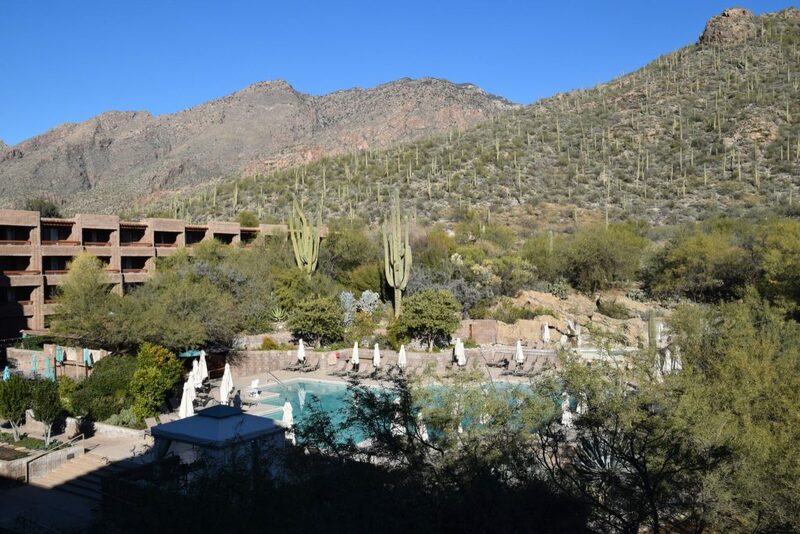 Tucked up against the Catalina Mountains at the entrance to Ventana Canyon, the Loews Resort in Tucson has some gorgeous views of the high desert. 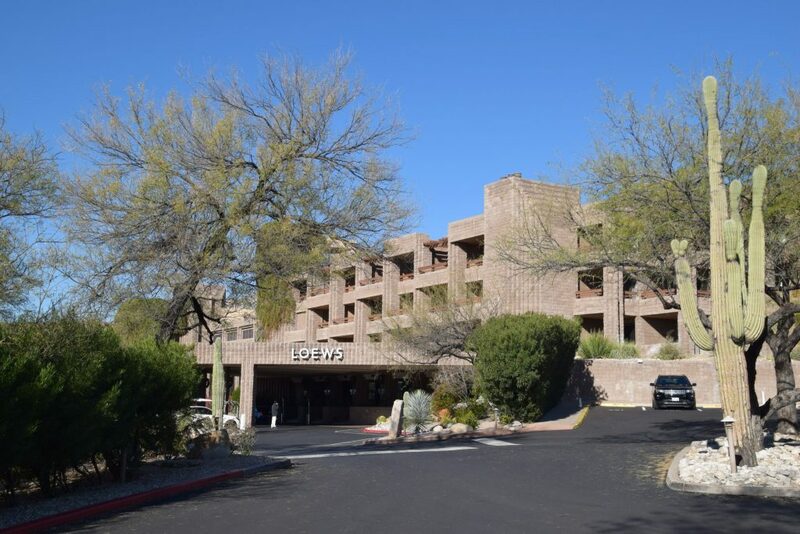 From the hotel’s entrance, guests can look down towards the lights of downtown Tucson. We loved the grounds surrounding the hotel, and walked the paths to have an up-close look at the local flora and fauna. The view from our room at the Loews Ventana Canyon Resort was pretty spectacular.